Bitcoin is moving from the fringes of finance to the main event. Bitcoin is getting called up to the majors. For almost 10 years, Wall Street’s opinion of the premier cryptocurrency has ranged from general indifference to outright condemnation. 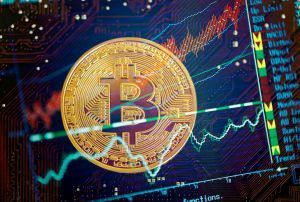 Now, a number of bigwigs in the U.S. finance sector are launching bitcoin initiatives — a clear sign they recognize the cryptocurrency as a player worthy of attention in the game of global finance. On Monday, the New York Times reported that Intercontinental Exchange (ICE) is “working on an online trading platform that would allow large investors to buy and hold bitcoin.” ICE is the parent company of the New York Stock Exchange, the world’s largest stock exchange by market capitalization, so the move could give bitcoin more credibility in the mainstream finance world. The NYT claims to have seen “emails and documents” on ICE’s proposed platform and cites four people briefed on the effort. An ICE spokesperson declined to provide a comment to the NYT, so the project could still disappear into the ether (just like your bitcoin when a crypto exchange gets hacked). However, ICE Chief Executive Officer Jeffrey Sprecher did tell Bloomberg Television last month that he couldn’t deny that ICE might offer digital currency contracts in the future. “There is a trend here we can’t ignore in my mind, so I don’t discount it,” he said at the time, perhaps foreshadowing ICE’s bitcoin platform. ICE isn’t the only major financier with bitcoin on its mind. Last week, Goldman Sachs, one of the world’s largest financial services firms, confirmed that it is opening its own trading unit for bitcoin. Details on that project are still scant, but unlike the ICE announcement, this one’s, you know, actually confirmed. The signs are clear: Wall Street is officially giving bitcoin trading a shot.